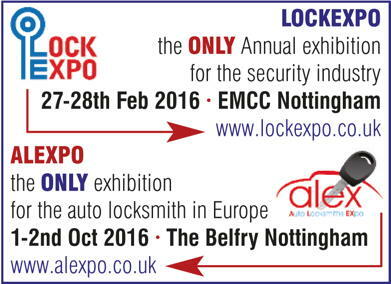 It was nothing but deals and demonstrations from Tradelocks at this year's Lock Expo in Nottingham over the weekend. 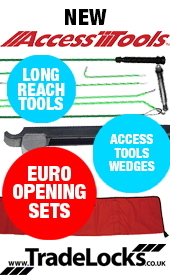 Access Tools, Keyline Cutting Machines, KEYDIY, SuperVAG, Truecode Key Programming Kits and all things Genuine Lishi; it was an extremely busy weekend for Tradelocks at the Lock Expo as they showcased all these products and more! Tradelocks wanted to give all those visiting the Expo plenty of reason to visit them at stands B32-B36 and with demonstrations going on throughout the weekend and a host of offers available, they did not disappoint! Leading window, door and conservatory supplier, Emplas has agreed to exclusively fit Avocet ATK locks on all of its composite doors. Northamptonshire-based Emplas opted to make the switch in order to ensure its customer base was being supplied with the best possible snap-secure lock. Glyn Roberts, head of purchasing for Emplas, said: "We have a well-earned reputation for excellence, both in terms of product innovation and customer service, and as soon as we saw ATK in action we knew that if we didn't add it to our offering we wouldn't be living up to it. It is undoubtedly the best snap-secure lock for composite doors on the market."